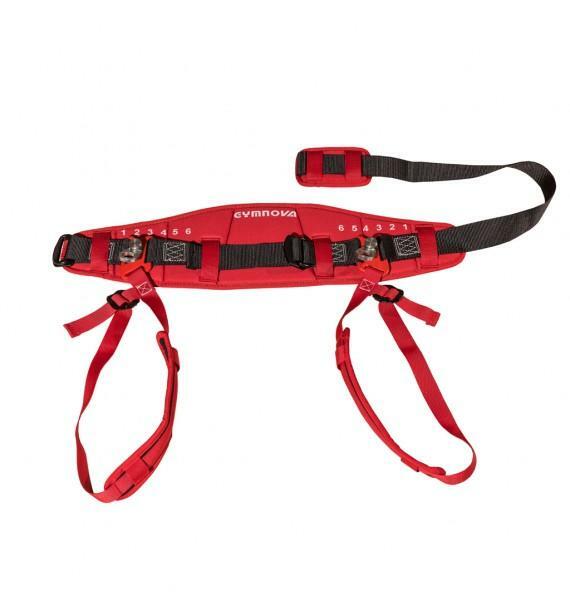 Belt with bearings and turnnion system to learn forward and backward rotations. 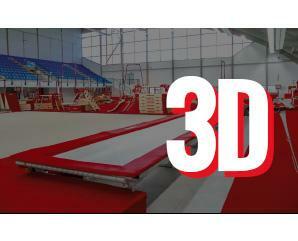 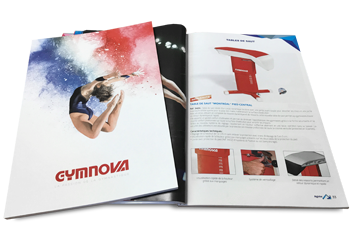 Allows learning and repeating very technical gymnastics elements with confidence and without apprehension. 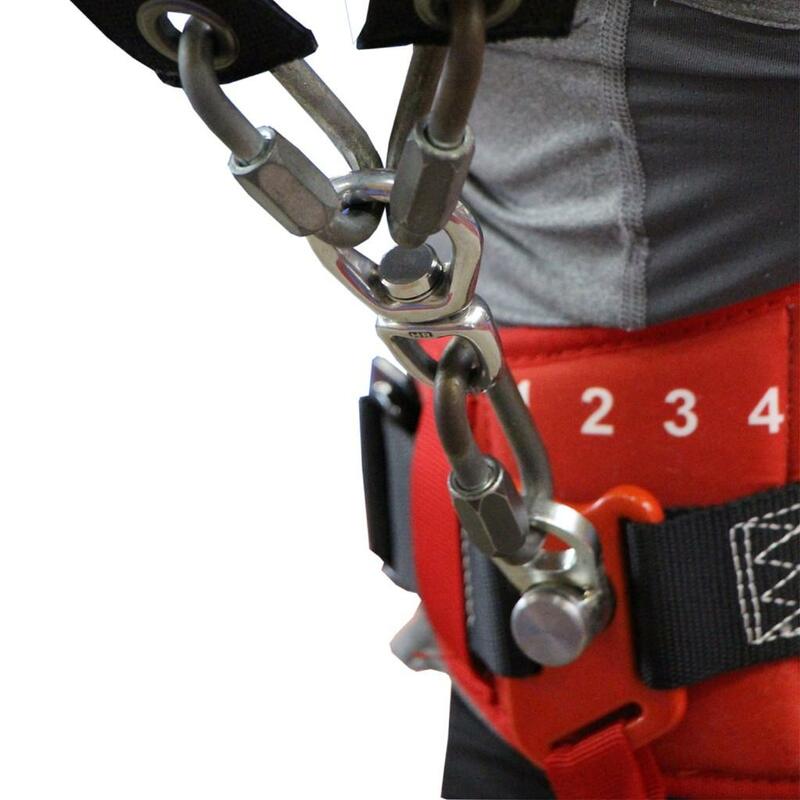 One size fits all, adjustable on a child size (from 5 years old) as well as on an adult. Equipped with a safety buckle, this belt is adjustable from 55 to 112 cm. 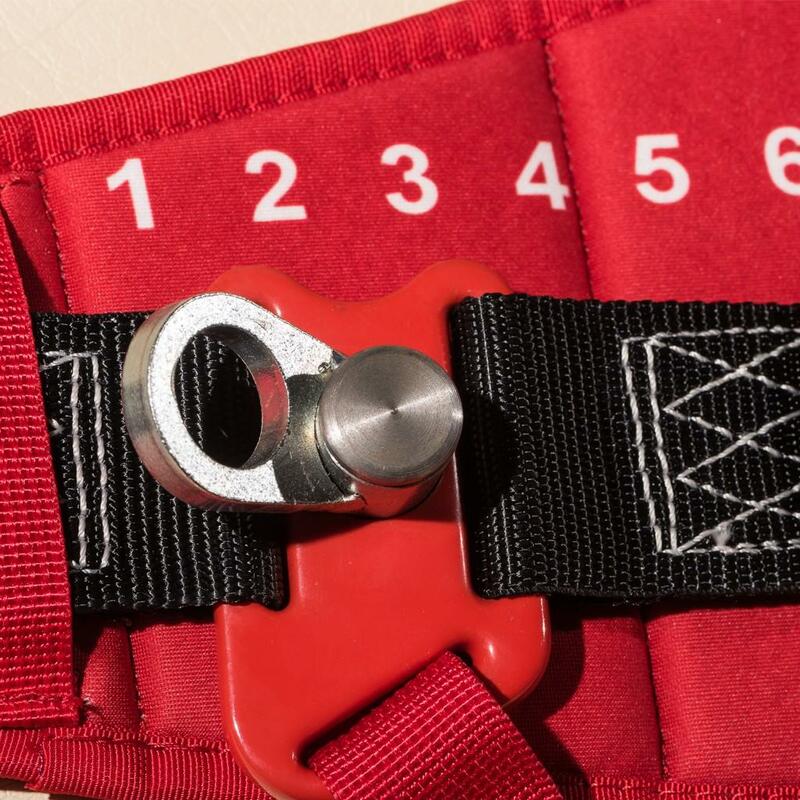 The markers (from 1 to 6) allow for easy adjustment of the belt. 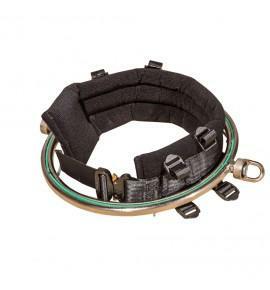 Compliant with the resistance standard EN-358: 1999. 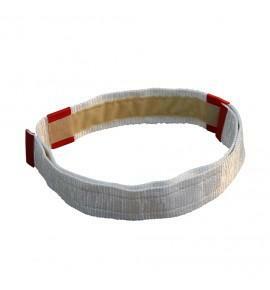 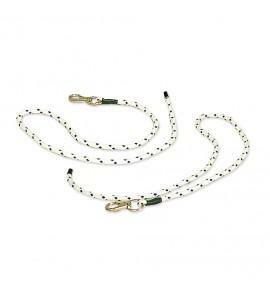 - Adjustable belt from 55 to 112 cm. 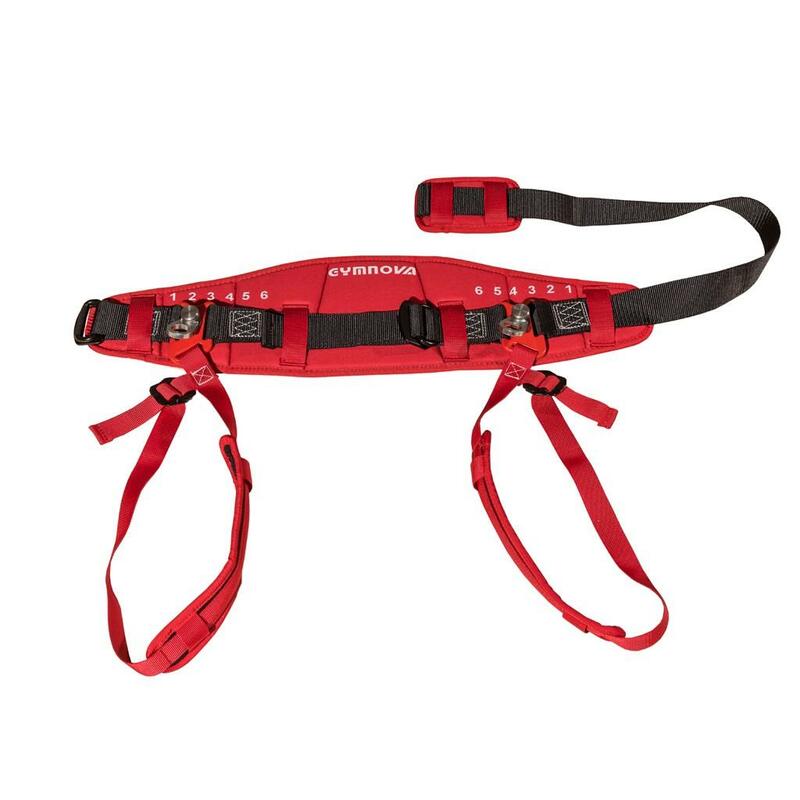 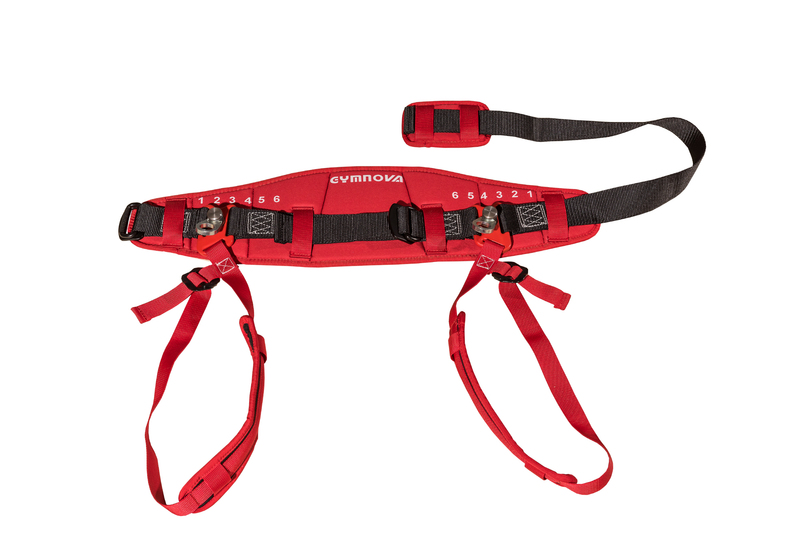 - Belt equipped with a safety buckle, reinforced crotch straps and new turnnions. 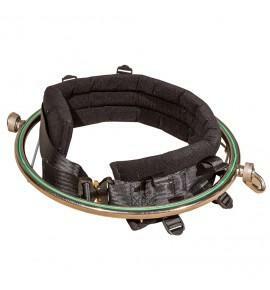 - Backrest is made of tissue anti-transpiration technology.